Located just across the street from the original building, our new building brings many elements of daily student life into one exciting space. 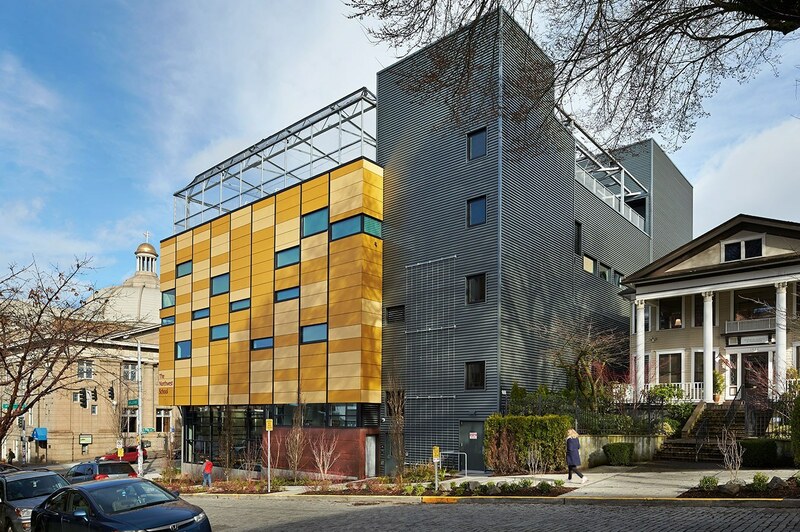 This “vertical campus” makes smart use of every square inch, featuring a league-size Gymnasium, 175-seat Theatre, two-tiered Dining Room, and 6,000 square foot Rooftop Sports Field. Greeting students and faculty as they come into the lobby is an original commissioned artwork by Ben Chickadel, designed to honor community and connection. NWS' multipurpose facility at 401 E Pike opened to students and faculty in January 2015. 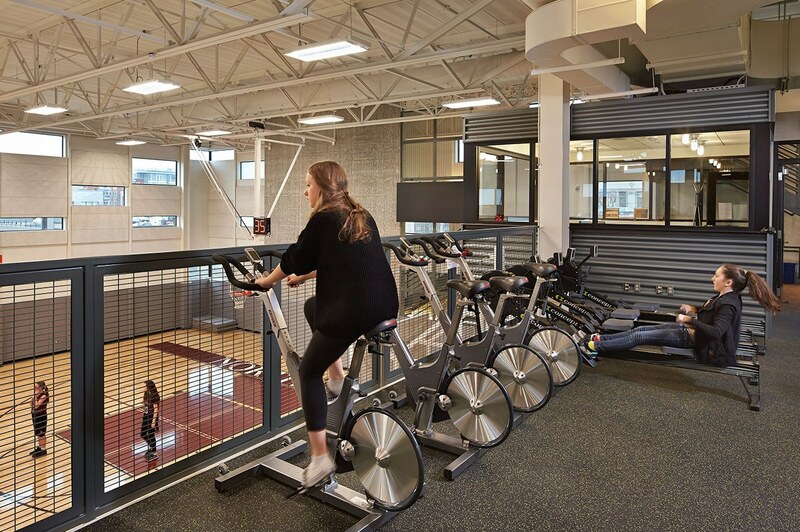 Overlooking the gymnasium, a fitness terrace features a TRX workout system, spin bikes and free weights. 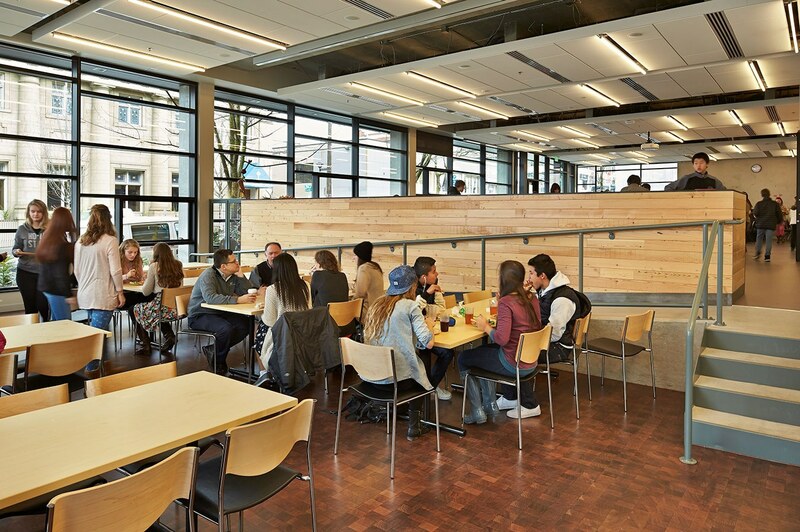 The dining hall is a fitting environment for the school’s five-star lunches. 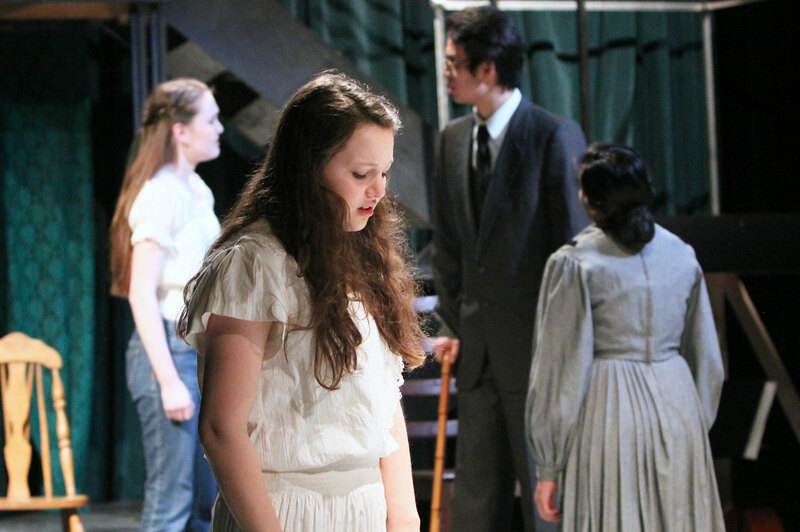 The Blackbox Theatre features state-of-the-art lighting, quadrophonic sound systems and a fully-equipped scene-building shop. 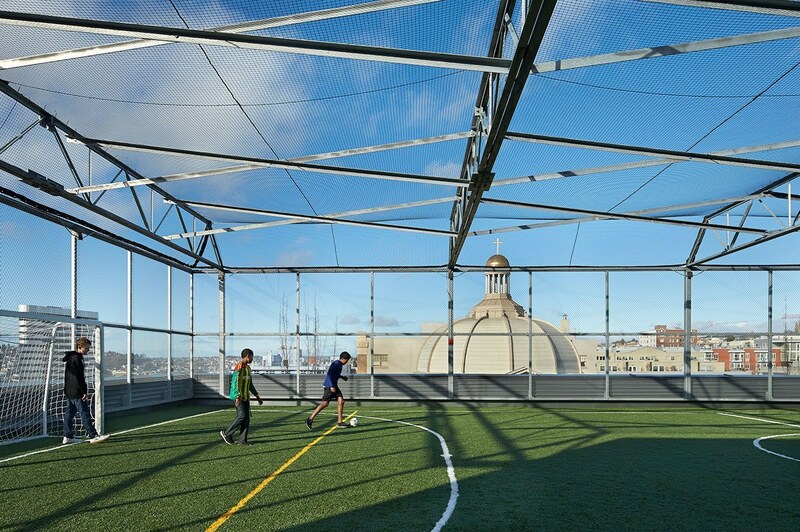 The 6,600 square foot rooftop sports field is the highest and largest of any school in Seattle.